Bremerhaven is one of the most important ports in Germany. This important shipping city of the country is located on the North Sea, the east coast of the place where the River Weser flows into the marine waters. On the other side is a town of Nordenham. Both locations are part of the Northwest German Land of Bremen. 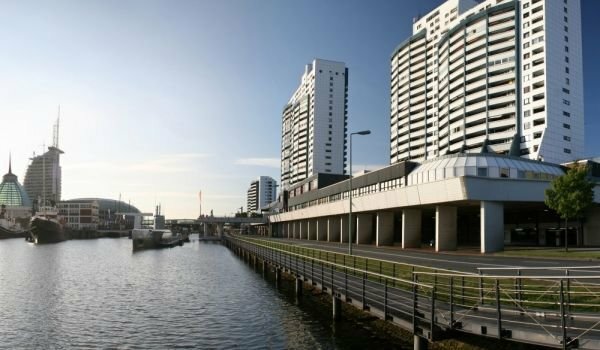 Although Bremerhaven is a relatively new city, its commercial port has a long, important history. The Port of Bremerhaven is the fourth largest territory across Europe and sixteenth among all world ports. The sea port of Bremerhaven a year is imported or exported more cars than any city on the Old Continent, with the exception of Rotterdam. Every year passing through Germany are more than 1.35 million cars. Bremerhaven can not be praised as a city with many architectural and historical masterpieces, only a few historic buildings have been maintained. Undoubtedly one of the biggest tourist attractions in Bremerhaven is Germany's Museum of navigation, which is located in the historic port town. The museum ship is located in the central part of Bremerhaven, between the Center and Columbus. It is composed of two parts, a museum and located in the museum is a closed room. The German Museum of shipping is represents the history and tradition in shipping, shipbuilding and everything related to cruises. Since 2000, this gallery of history can trace the history of polar and marine research, fisheries and whaling, extraction of raw materials from the sea and history of the manufacture of traditional wooden boats. Among the greatest treasures of the museum is the ship Hansekogge, which dates from 1380. On March 27th, 2004 after long restoration visitors of Bremerhaven can go to visit the completely renewed sea garden, which is located on the northern fishing port in the German city. Visiting these interesting adventure aquariums will give you the chance to meet, face to face with polar bears, penguins and seals. The walk through the marine zoo of Bremerhaven is a real adventure, in seconds you feel like you are somewhere in the tundra. After you explore this and the other maritime dimension, you can have a cup of coffee on the terrace of the zoo and enjoy the wonderful sea views. The museum, Atlanticum, do tours in Bremerhaven which offers the opportunity to see the exciting performances that mediocre modern technology to tell the story of the sea and fish.